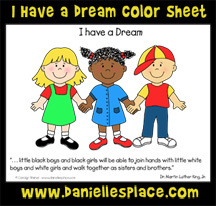 How to Make Crafts and Activities Relating to Martin Luther King, Jr.
1. To make the arms cut the craft picks in half and use the wider ends for the arms. Glue them to the back of the clothespins. 2. Paint the clothespins and arms with acrylic paint or use markers to color them. 3. When the paint dries draw in the small objects such as buttons, eyes, and mouth with a thin magic marker. Two smiley-faced characters holding hands with the quote from Martin Luther King, Jr. at the bottom of the page: "I have a dream . . . little black boys and black girls will be able to join hands with little white boys and white girls and walk together as sister and brothers." Dr. Martin Luther King, Jr. Many of the crafts on this page are from the Sunday school lesson "Martin's Big Words" about Martin Luther King, Jr. on The Resource Room. 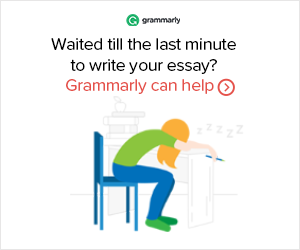 In this lesson children learn about the power of words, especially God's words. As a young child Martin admired the way his minister father used words to give people hope and comfort, and how he spoke out against wrong even when people called him names and threatened him and his family. Martin decided that he wanted to "get some big words" like his father. He did get big powerful words and made history. 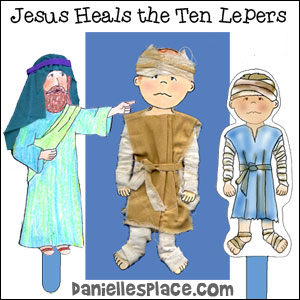 This Bible lesson is found on The Resource Room a members only site. This Bible lesson is based on the book Martin's Big Words: The Life of Dr. Martin Luther King, Jr. This is an excellent book to introduce your children to Martin Luther King, Jr. It tells about his childhood and how the people and books in his life influenced what he believed and how he lived. This color sheet says, "We hold these truths to be self-evident: that all men are created equal." at the top and has a quote by - Dr. Martin Luther King, Jr., "We must learn to meet hate with love" at the bottom with the statement, "The Montgomery Bus Boycott ended in December 1956, over a year after it began, when the U.S. Supreme Court ordered the desegregation of buses in Montgomery. 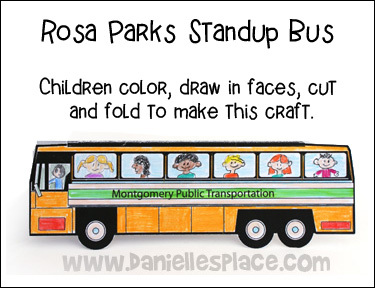 Bus Cut and Paste Activity Sheet - Children color the bus and children's faces and then cut them out and glue them to the bus. Celebrate Martin Luther King, Jr's Birthday. "I have a dream . . . little black boys and black girls will be able to join hands with little white boys and white girls and walk together as sister and brothers." Dr. Martin Luther King, Jr. 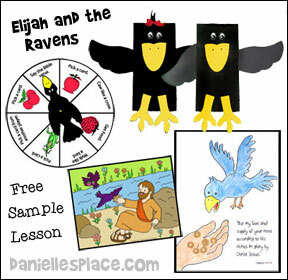 This craft goes with the Bible lesson about Martin Luther King, Jr.
See the Martin Luther King, Jr. Sample Lesson for a free pattern. The crayons in this box just can't seem to get along. Yellow doesn't like Red and no one likes Orange. And Green said, “Nor do I! This display can be used to act out the story. Move the crayons as they speak as you read the story. Make happy faces on one side of the crayons and sad faces on the other. At the end of the story, when the crayons realize that everyone is important, turn the crayons over to the happy side. The front of the box measures 9" x 13" and the back measures 15 1/2" x 13". 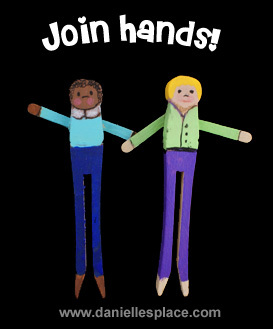 Print out the Crayon Patterns onto different colors of paper, cut them out, and add faces, hands, and feet. At the end of the story the crayons realize that they are all very important when they see a beautiful picture being drawn by the author. You can also draw the picture or have one already drawn as you tell the story. 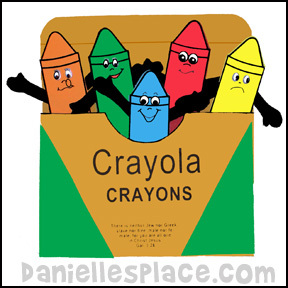 Have your children color a crayon pattern and add arms, legs, and eyes. Staple them to your bulletin board to make a display. The front of the crayon box says, "We are all unique and important". On the back children write what makes them unique. 1. Have your children make a crayon box out of an envelope or use the printable pattern. 2. On a separate piece of paper or on the back of the envelope crayon box have your students write about things that make them unique. 3. 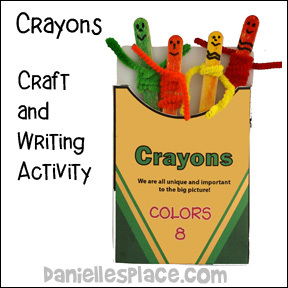 To make the crayon people out of craft sticks color the craft sticks with magic markers and then wind pipe cleaners around the stick to make arms. Stick the crayon people in the crayon box with the paper about what makes the child unique. 1. Print out the patterns and make copies. There are three different patterns: Large boy pattern, large girl pattern and a smaller paper chain pattern. 2. If you use the large patterns, cut out the patterns and then tape or glue them together so that the hearts interlock with the arm of the pattern next to it as shown in the picture. 3. If you are using the smaller paper chain pattern, cut off the bottom word patterns, and then fan-fold the paper doll patterns on the dotted lines. Cut the solid lines with the paper folded. 4. Decorate the patterns with crayons or colored pencils. Children may want to add hair using yard or other item, eyes, shoes, clothes, etc. 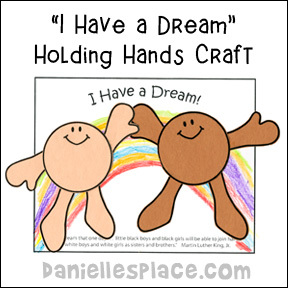 This is a great game and craft to make for Martin Luther King, Jr. Day. 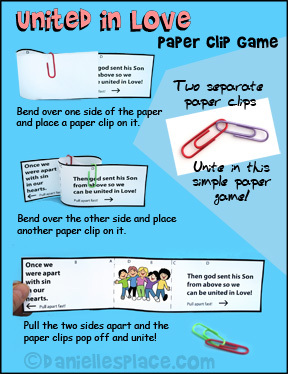 Children will love how the paper clips pop off and unite when they pull on the sides of the paper. The printable patterns for this craft are available to members on the Sunday School lesson "Martin's Big Words, The Story of Martin Luther King, Jr., and as an instant download. 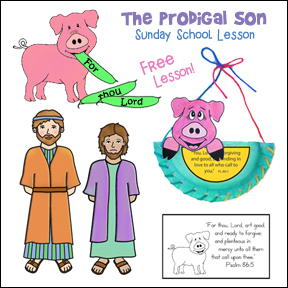 See Bible Lessons Crafts and Activities Love Page for directions and printable patterns.